Piotr Arak is the director of the Polish Economic Institute, a public think-tank focusing on trade, energy and the digital economy. Arak was one of the speakers at a recent EURACTIV event titled: Transforming the global energy system: How to finance a just transition? 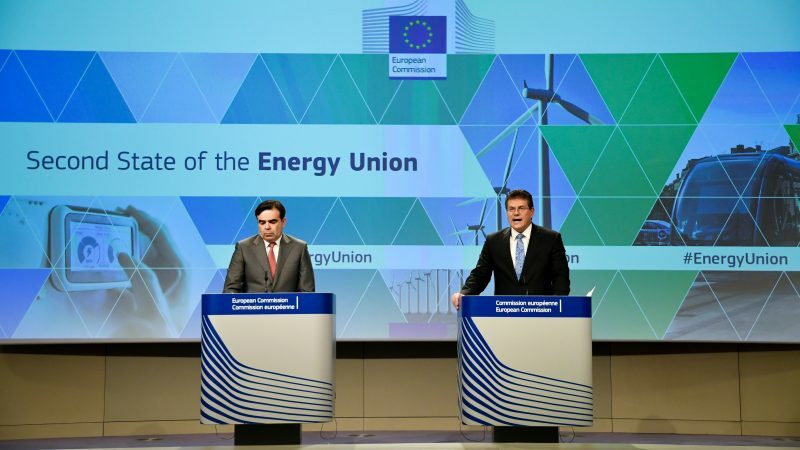 Already today, we can ascertain that implementing the new “Energy Union” strategy did not bring many new solutions at a conceptual level, but it quickly helped the subject gain popularity. It can therefore be assumed that the very creation of a new and supporting concept served to show the importance of energy among the Juncker Commission’s priorities and helped to scale political capital invested in this area. The emphasis on increasingly shaping the energy sector at the EU level is not limited to the current Commission, though. This is a long-term trend resulting from the maturing evolution of the common energy market. It will continue to be a triangle of goals: a competitive internal market, security of supply and sustainable development. Regarding a common EU energy policy, we need to focus on closer integration of the internal energy market. Firstly, there are different energy prices in various parts of the market. To address this, the Commission should focus on supporting competition. The structural impact of external factors that disrupt the functioning of the internal energy market also needs to be considered. Long-term energy policy should also consider technological changes and the creation of an intelligent sector. A new vision of cybersecurity is needed, as attacks by state and non-state actors are already a reality. There were 60,000 attacks in 2007-2018, and every month there are several hundred more. The most dangerous target critical infrastructure, including energy infrastructure. The cyber threat in the EU is heightened by the increased dependence between the member states’ energy networks and the sector’s progressing digitisation. Moreover, a coherent energy policy should focus on citizens, giving them the tools to take part in the energy transformation. This includes the rising share of energy costs in the poorest households’ budgets, the concentration of energy poverty in regions that are traditionally less developed (like Southern Europe and Central and Eastern Europe), and mounting inequality in the risk of energy poverty between regions. One of the challenges is to combat emerging social inequalities. Otherwise, the rich will become richer, while the poor become poorer. In the Polish Economic Institute’s latest report, entitled “What’s next for the EU’s energy policy?”, we set out how it should change, proposing specific reforms. We draw attention to the key challenge in each of the three areas of the EU’s energy policy. Firstly, amid the shortcomings of the common gas market, a European Antitrust Office needs to be established and the amended Gas Directive fully implemented. Promoting competition on the market is a fundamental task of EU competition policy. However, the Commission does not fully pursue this goal. Sometimes, it does not act as the guardian of competition, especially in relation to Central and Eastern Europe. Examples include the lack of decision on applying EU law to a part of the planned Nord Stream 2 gas pipeline or its obliging decision on Gazprom’s abuse of its dominant position. In addition to its apolitical character, the Office should seek to level differences in economic competition between particular regions and member states. Secondly, energy poverty needs to be mitigated. This is above all a social welfare task. It should also be limited by the increase in electricity prices, but mainly through increased competition, rather than price regulation by the state. For this, electricity transmission capacity between EU countries needs to be increased (as in the package “Clean energy for all Europeans”). Unplanned electricity flows that jeopardise the functioning – and even the security – of the connected electricity system must be counteracted. Transmission networks should constantly be adapted to needs. Thirdly, a European cybernetic response system for the energy sector should be created, along with joint crisis management mechanisms. To create a coherent cybersecurity system at EU level, the Agency for the Cooperation of Energy Regulators (ACER) should be named (or treated as) the leading institution and given appropriate powers. It should work closely with the European Agency for Network and Information Security (ENISA). Finally, when it comes to sustainable development, the EU should consider establishing a Just Energy Transition Fund (JET Fund). This support programme for households and local communities would help overcome the barrier of lack of access to capital in parts of the EU where development faces structural constraints. It should focus on two areas: developing renewable energy sources and energy efficiency, including the thermal modernisation of buildings.